Most scientists who study rivers rely on measures of discharge, the volume of water transported through a given cross-section of a river. Much less studied, though critically important, is a river’s total surface area, particularly for scientists trying to understand how carbon dioxide moves between rivers and the atmosphere. To calculate a river’s area, scientists have to know the length and width throughout the whole course—from the narrow headwater streams to the miles-wide stretches found in estuaries. In some places, it is easy for hydrologists to visit in person and get accurate measurements of the width. 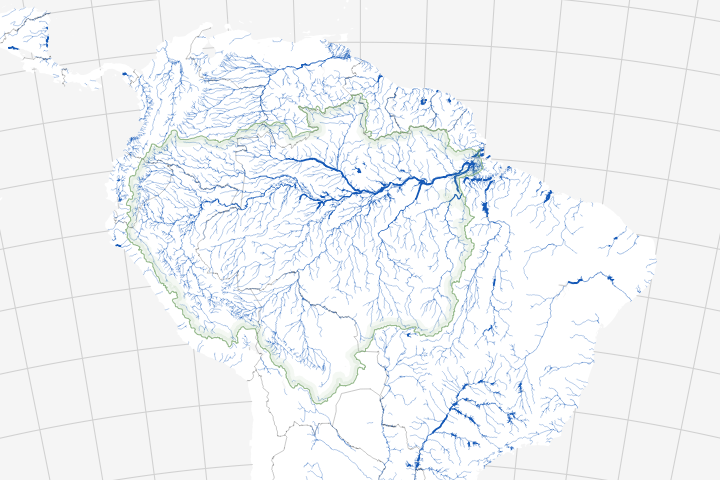 But many rivers, especially those in the Arctic or remote tropical jungles, are difficult or expensive to reach. 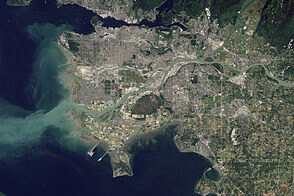 There is also the problem that the width of many rivers changes depending on the season and weather. “Using Landsat data allowed us to get around—or rather above—these problems,” said George Allen, a geographer at Texas A&M University. 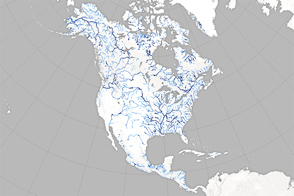 Along with colleague Tamlin Pavelsky at the University of North Carolina, Allen developed a global database of river widths for large rivers based on roughly 7,300 satellite images collected over several years. To get the most accurate measurements, all of the Landsat scenes were acquired when the rivers were at mean annual discharge—not too high or low—which the researchers knew thanks to a global network of stream gauges that tracks discharge for all large rivers. 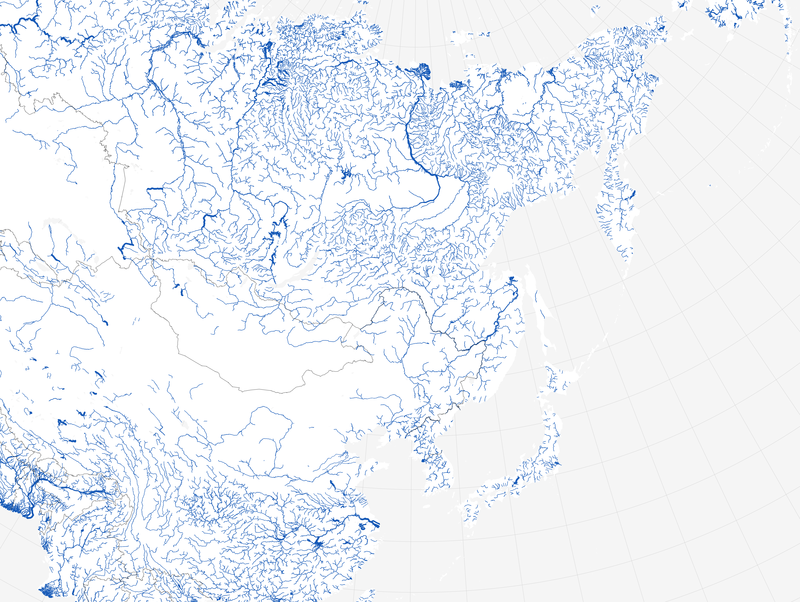 There have only been a few other attempts to estimate the widths of all of the world’s rivers, and those efforts relied heavily on modeling and extrapolation rather than actual measurements. 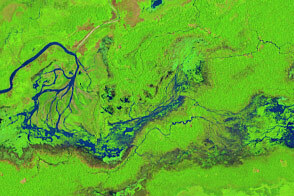 Using their Landsat-based technique to tally how much of Earth’s total surface is covered by rivers, Allen and Pavelsky came up with a surprisingly large number: 773,000 square kilometers (300,000 square miles), an area larger than Texas. That represents approximately 0.5 percent of Earth’s ice-free surfaces, nearly double the amount calculated in the best previous estimate. 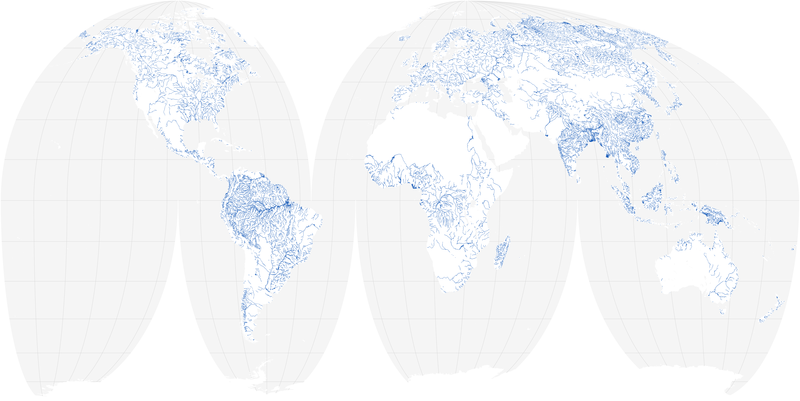 The map below shows which river basins have the most surface area covered by streams and rivers. 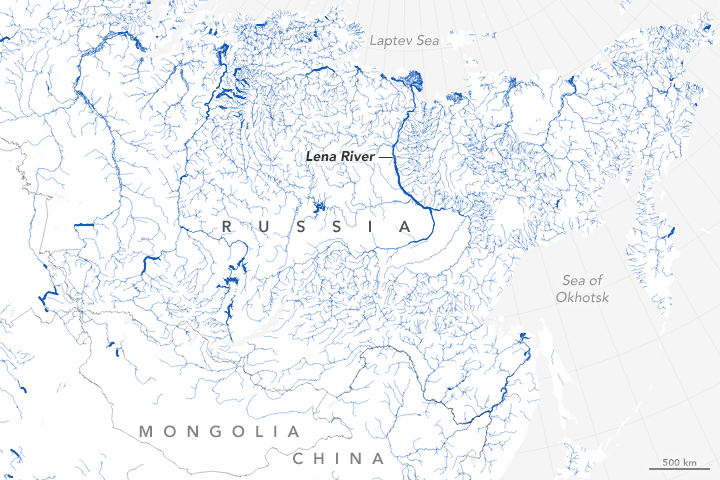 The Brahmaputra River in India and Bangladesh, the Amazon in Brazil, and the Lena in Russia are among the widest rivers—and the river networks with the largest surface areas. 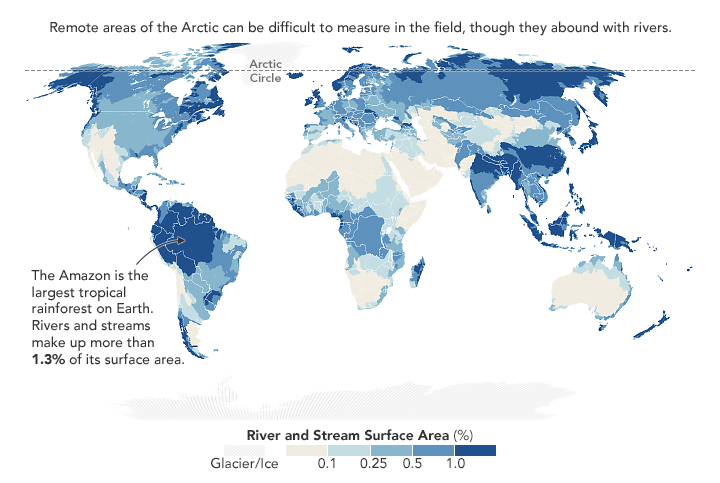 Allen and Pavelsky found more river surface area in the Arctic because the terrain map for the Arctic used in the previous estimate was not entirely accurate. They also found more river area in undeveloped areas and less in highly-developed areas. “We think this is because water diversion—things like dams, irrigation, and levees — reduce the amount of water in river channels in our analysis,” noted Allen. Carbon dioxide, methane, and other greenhouses gases move naturally from rivers into the atmosphere, particularly in upstream and mountainous stretches where rapids and waterfalls are common. Understanding the contribution is important for climate scientists trying to understand how carbon cycles through the atmosphere. The new dataset has many other uses as well. 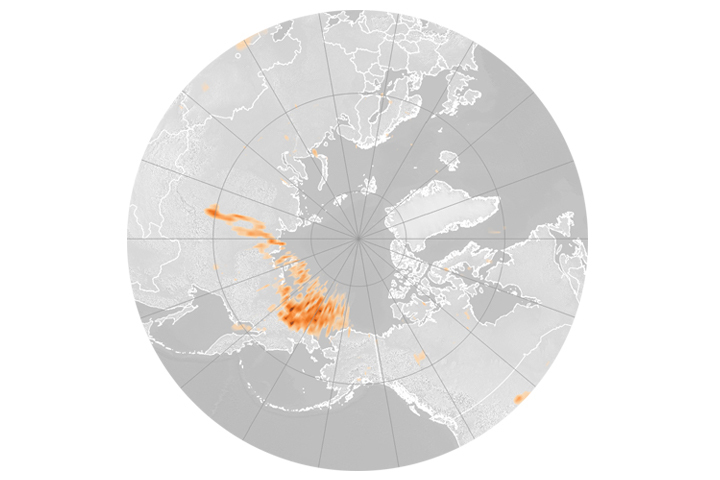 It has already been used to improve flood models and to more accurately classify surface water bodies between lakes, canals, and rivers. 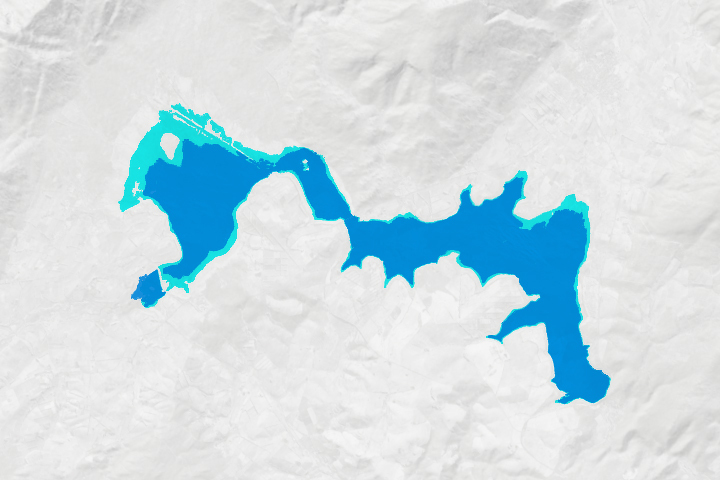 Allen also expects that it will become a core data set for interpreting data from NASA’s upcoming Surface Water and Ocean Topography (SWOT) satellite, which will measure changes in river and lake heights globally. 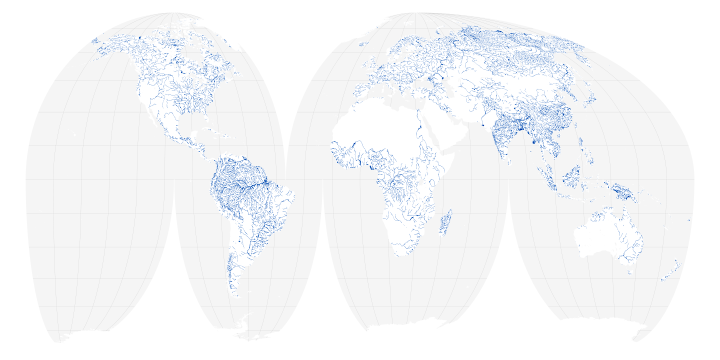 A new map of the world’s rivers and their widths shows that surface waterways are collectively wider and cover more area than previously thought. Allen, G. et al. (2018) Similarity of stream width distributions across headwater systems. Nature Communications, (9) 610. 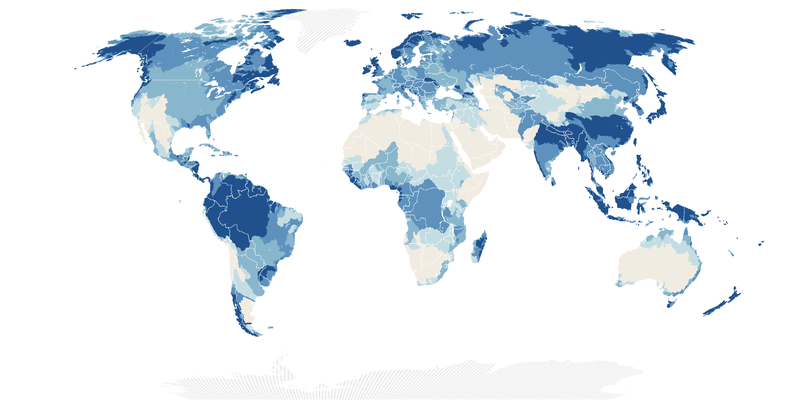 Allen, G. & Pavelsky, T. (2018) Global extent of rivers and streams. Science, (361), 6398. Texas A&M (2018, June 28) Rivers, Streams Cover Larger Portion Of Earth’s Surface Than Previously Thought? Accessed July 16, 2018. GISLounge (2018, June 28) Global Dataset of River Widths Developed from Landsat Imagery. Accessed July 16, 2018.